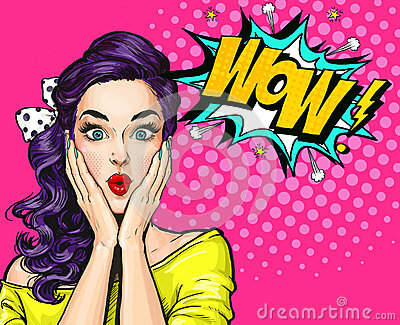 Pop Art illustration, surprised girl.Comic woman. Wow.Advertising poster. Pop Art girl. Party invitation.Advertising poster.